Using the past as a guide to the future: What can Herbert Butterfield teach us about investing? With his historian hat on, Ed Hezlet considers what investors might learn from the British academic historian, Herbert Butterfield. Borrowing ideas from different subjects can help bring about breakthroughs– for example, mixing ideas from psychology and economics helped form the field of behavioural economics and resulted in a Nobel Memorial Prize for Daniel Kahneman. As a member of the Behavioural Finance team at J.P. Morgan Asset Management and a former history student, I thought it pertinent to consider what we, as investors, might learn from the British academic historian, Herbert Butterfield. Accurately forecasting the future state of complex systems, such as politics, technology and the economy, is a formidable challenge for an investor and is particularly relevant at the current time given the backdrop of Brexit, potential trade wars and the growth of the online consumer. So how can Herbert Butterfield help an analyst escape the fiendish trap of overconfidence in their forecasts of the future? In his 1931 seminal work, “The Whig Interpretation of History” Butterfield criticised the tendency of historians to “produce a scheme of general history which is bound to converge beautifully upon the present”. Humans like narratives – it is how we make sense of a complex, often illogical and uncertain world. People don’t tend to consider the alternatives to the present state. Some might claim it was “inevitable” that England didn’t win the World Cup – but for a 109th minute Croatian goal in the semi-finals, it all might have turned out very differently. We don’t tend to give credence to the idea that the present state is just one branch on an infinitely voluminous probability tree – why would we? It isn’t good for our sanity and it’s all just a bit too much to process. If human beings don’t tend to think of their present as one iteration of an infinite number of outcomes, why on earth would we change our systems of thinking when considering the future? I believe this is a fundamental reason explaining why we tend to overestimate our powers of foresight. I like to think that Butterfield would agree with my theory that humans tend to ignore the randomness of past events and the infinite complexity leading to our present state. Butterfield’s proposed remedy for the historian is “making the past our present and attempting to see life with the eyes of another century than our own”. Following his advice, I shall turn to an article featured in the Spectator on 4 September 1897 discussing the future of water power. 1The writer postulates that “striking developments of water-power for industrial purposes” may undermine the manufacturing advantages enjoyed by those nations rich in coal, namely England, Germany and Belgium. The key takeaway is that our tendency to focus on post-hoc narratives that describe our path to the present leads us to ignore the paths of history that were never trodden. When it comes to making a forecast of the future, this may pre-dispose us into ignoring a large proportion of the multitude of potential future outcomes - which may in turn explain our tendency to have overconfidence in our predictions of what lies ahead. 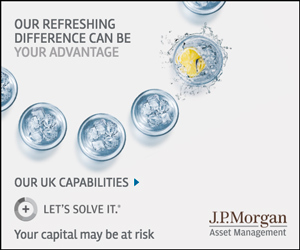 The J.P. Morgan Asset Management Behavioural Finance team takes a different approach – rather than relying on forecasts themselves, we are particularly interested when analysts have to make positive or negative revisions to their forecasts. It’s these changes in analyst forecasts that can be a reliable guide to share price performance. In the case of the Spectator journalist writing in 1897, we suspect that their lofty predictions for the importance of water power may have needed a few downgrades as the envisaged transformation failed to materialise.